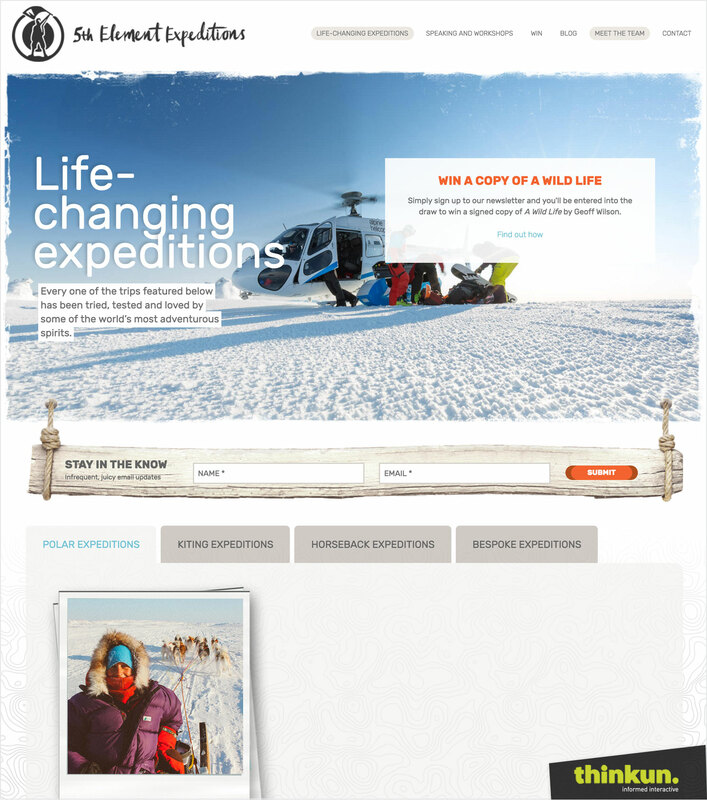 5th Element Expeditions are world-leading purveyors of expedition and extreme tourism experiences. 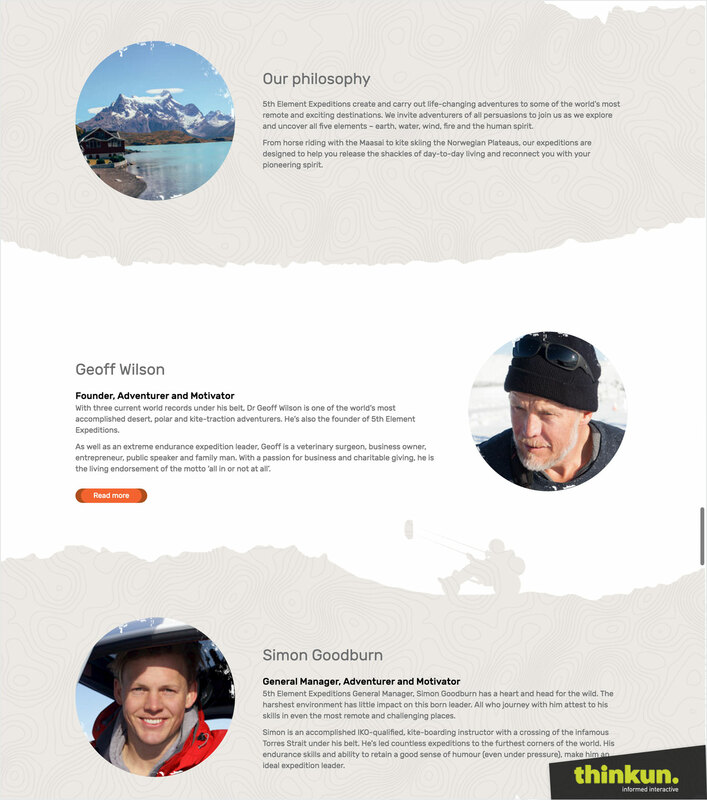 Founded by world-record holder Dr. Geoff Wilson, 5th Element aim to reconnect adventurers with nature and their self. 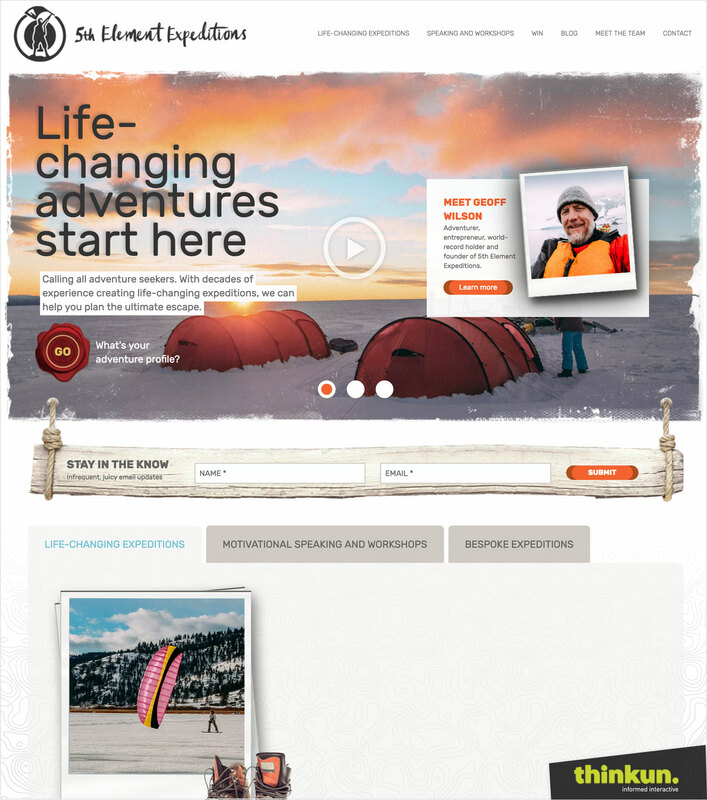 The primary challenge with the 5th Element website was to create an aesthetic that recreates the natural environment that potential adventurers love to be immersed within. We accomplished this balancing act of natural and digital by seamlessly blending both flat and skeuomorphic design elements. It was also known that 5th Element’s clientele would be primarily accessing the site via mobile devices, so responsive design was a must. Skeuomorphic design attempts to mimic objects found in the physical world, such as the rope and board design element on the 5th Element website that catches the user’s eye and invites them to subscribe to the 5th Element newsletter. 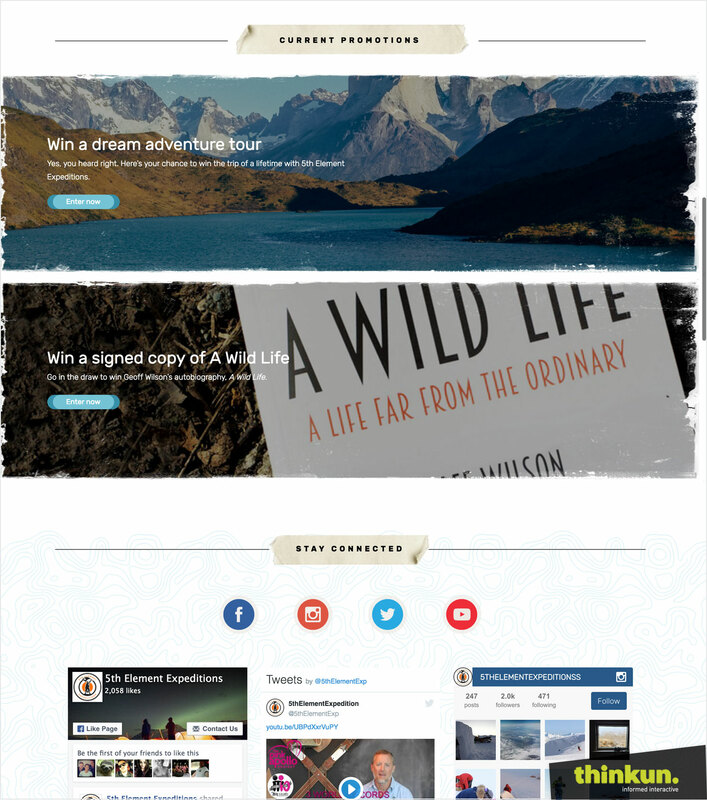 These elements evoke the feeling of being in nature and are found rarely in modern web design because such elements are difficult to incorporate into a responsive design. Drawing on our many years of experience with responsive design, we were able to program responsive skeuomorphic design elements that offer a seamless and natural experience on any device. 5th Element clients on desktops or phones enjoy the same adventure-inspired design and are thereby engaged on the same level.